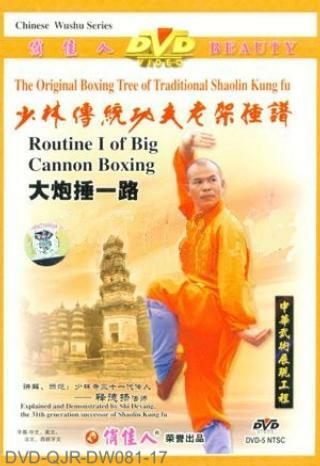 Shaolin Big Cannon Hammering (Shaolin Da Pao Chui) is the king of Shaolin fist kungfu. As commonly known to the Shaolin wushu practitioners that the eminent monks in order to develop a unique stunt, have selectively integrated the essential movements from the earliest primitive routines to the later developed masterpieces to form this intact routine system. This routine features with big opening and closing movements, and emphasize particularly in body twisting, turning and rolling to attack.